Everyone should be drinking healthy beverages, such as pure water. Most of us do not naturally drink the amount of water necessary for good hydration. We go through life with chronic low-level dehydration, and suffer from a variety of global health conditions, as a result. Most of us are chronically dehydrated, and we have to discipline ourselves to drink water to avoid this. The key to proper hydration is that you must schedule your water intake. A good rule of thumb is to drink a glass of fluids every two hours. Remember, you must make a consistent, conscientious effort to drink more water to detox naturally. Even though water is a fundamental part of our lives, it is easy to forget that just about every process in your body depends upon it. Your very survival actually depends on water. Water is second only to oxygen when it comes to what is most essential for sustaining life. 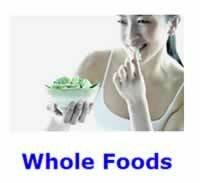 At least fifty-five percent of the body's weight is water. Many people are dehydrated without realizing it. Just about every process in your body depends upon proper hydration. The ideal beverage provides hydration without any calories. Fluid replacement can come from sources other than pure water. Drink a Healthy Beverage periodically throughout the day. Water is the most important detoxifier. It helps clean us through our skin and kidneys, and it improves our sweating with exercise. Eight, eight ounce, glasses (i.e., 64 ounces) a day  (depending on our size, air temperature, and activity level) of clean, filtered water is suggested. Get in the habit of drinking fluids on the hour, every two hours. You could even use a timer to remind you. Leave bottles of water in strategic places, such as next to your bed, computer, and television. To make drinking water more convenient, no matter where you are or what you are doing. Anybody who asks "How much?" or "What kind of Water?" is missing the point! Get in the habit of drinking fluids. Worrying about the details is nothing, but another excuse to procrastinate. Do NOT worry about "How much?" or "What kind of Water?" until you have been in the habit of drinking water regularly for a couple of years. Many people are dehydrated without realizing it. If you drink only when you feel thirsty, it is too late. You are already dehydrated. In addition, as you get older, your sense of thirst does not work properly. Once you start to hydrate your body, you will begin to realize just how bad you felt before! Water is still the best thing to drink! Women who drank more than five 8-ounce glasses of water each day were 41% less likely to die from a heart attack than those who drank two or fewer glasses daily. In men, that corresponding risk decreased by 54%. Nevertheless, women who drank more than five 8-ounce glasses of other fluids, like coffee, tea, juice, milk and alcohol exhibited more than a twice-higher risk of dying from a heart attack. Heavy non-water drinking men were associated with a 46% increase in the risk of dying from a heart attack. Some fluid replacement can come from sources other than pure water, such as eating foods that have a high water content, and from drinking green tea; 100 percent grape and orange juice; and sugar free lemonade and limeade. Drinking grapefruit juice should be avoided, as it is well known to increase the potency of many prescribed drugs. Grapefruit has this effect because it reduces the efficiency of your liver's detoxification system by about 30%. Other Healthy Beverages -- Avoid all processed beverages containing some type of added sugar, such as high-fructose corn syrup. You should drink a variety of different types of teas; such as black, white, green, herbal, hibiscus, and red rooibos; in order to minimize the negatives of each kind of tea. 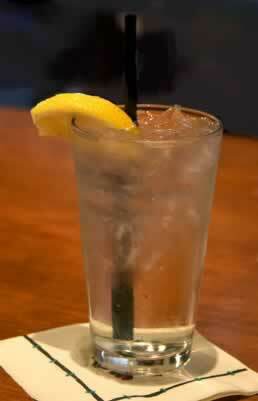 Try squeezing a slice of lemon into a glass of pure water. 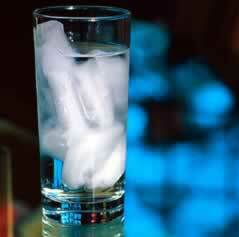 Try squeezing a slice of lime into a glass of pure water. The health benefits of drinking pure organic grape and orange juice is debatable due to its high natural fructose content that rapidly increases your blood sugar levels. The absolutely worst thing that you can drink is a cola soft drink followed by soft drinks in general, soda, pop, sugar-based drinks, and Gatorade / sport drinks. The ideal beverage contains no calories, or at best a slice of lemon. Should You Drink With Meals?